According to Empire, the horrifying trailer is captioned with ‘There is a hell. This is worse,’ which is reassuring on so many levels. Not much is given away in the nightmarish clip, but apparently, the film follows the story of a policeman who bumps into a sinister blood-soaked man on a highway. He then takes him to the nearest hospital, where he discovers the whole building has been taken over by alarming white-hooded figures. Talented writers, directors and designers Steven Kostanksi and Jeremy Gillespie, behind the special effects for Pacific Rim and Hannibal, have teamed up to serve up this petrifying little treat. Their disturbing offering is science-fiction-meets-slasher and is packed full of enough fake blood and graphic scenes to keep you gripped til the very end. The creatives creepily describe themselves as ‘committed to introducing audiences to a unique horror-mythology,’ through their pioneering genre of horror. They aim to ‘combine the aesthetic attitude of modern horror cinema as it emerged in the 1970s with the splatter and sophisticated practical special effects that ruled the creature features of the 1980s and early ’90s,’ in their new creation. 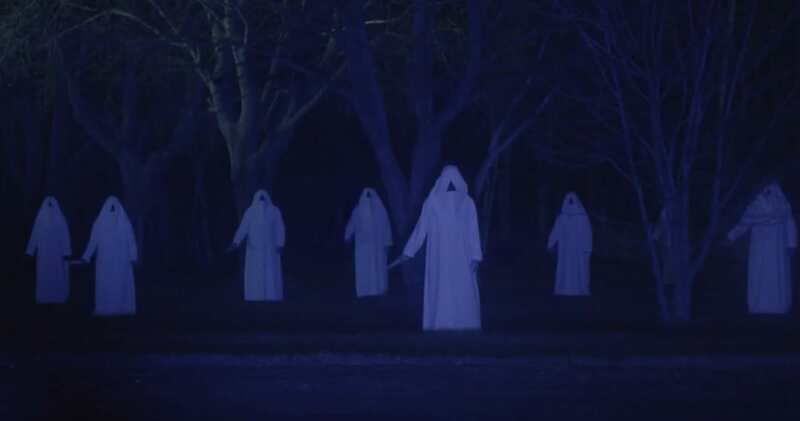 With comparisons to cult horror director, John Carpenter – behind Halloween and The Fog – it seems this chilling film has already been met with seals of approval.